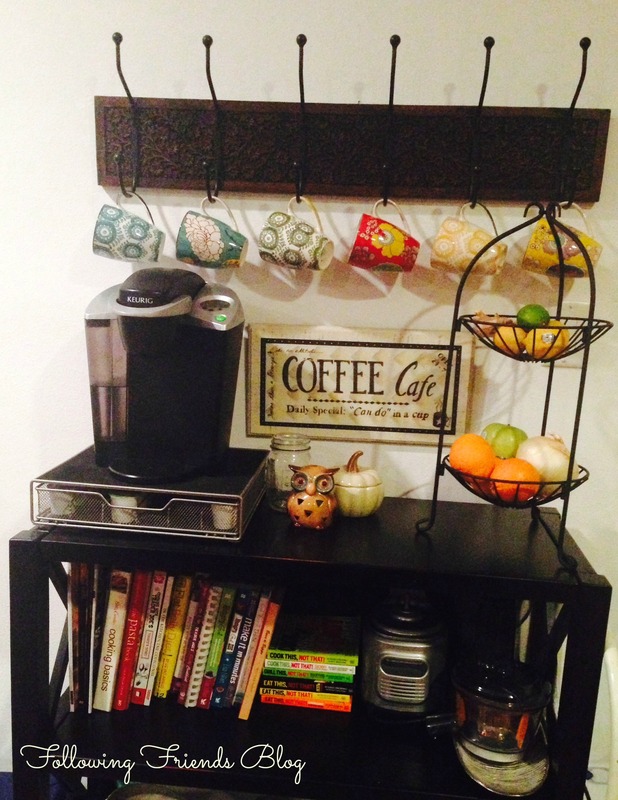 I love the Coffee Station my daughter, Lindsay, created in her house. It’s warm and cozy and adds greats color. Plus, it’s useful storage for her kitchen. She got most of it from one of my favorite places, World Market. The pretty Coffee mugs, the decorative wall hooks, and the shelves are all from World Market.